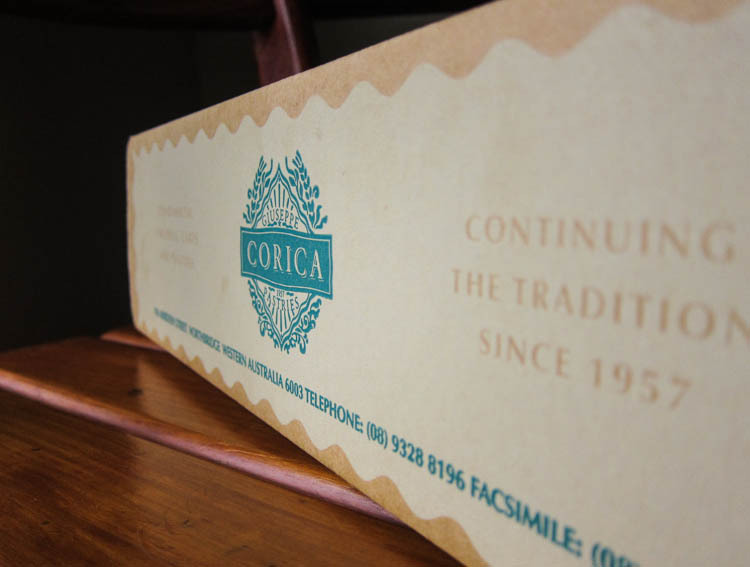 A long, sturdy box, containing Corica's famous apple strudel. When I updated my Facebook status to say I was in Perth, one of my friends was quick with his recommendation: "You must have Corica's apple strudel!" Apparently the apple strudels from Corica Pastries are so famous that travellers from Southeast Asia often bring it back with them on their flights home. That's pretty impressive stuff. So off we went to Giuseppe Corica Pastries (106 Aberdeen St, Northbridge). We had other plans for the day so we just made a quick stop. In addition to the must-have strudel, I was curious to try their other offerings, too. I chose a couple of smaller things to snack on - a shortbread sandwich with buttercream and apricot jam, named "Amore", and a custard horn. Amore (left) and custard horn (right), $2.90 each. The Amore was sweet, dainty, and also rather expensive for how tiny it was. The custard horn had a delightfully flaky pastry encasing the lusciously creamy custard - so good, I wish I had bought more. In fact, I'd say it deserves some of the limelight alongside the strudels at Corica. Ah, yes, those famous apple strudels. You can get the classic apple strudel and/or the blueberry-apple strudel. We got the latter. It survived the car ride home mostly intact, with just some minor damage. My suggestion? Heat the strudel up in the oven first - it really brings it back to life. I loved it so, so much more when it was warm and crispy, and it was then that the wow factor really properly hit me - oh, the layers of crunchy and creamy and comfort! - and I finally knew what the fuss was all about. Yep, I'm passing on the recommendation. Corica's blueberry apple strudel, $20 - yields about 4 servings. The horn was lovely, try it next time. The strudel was just okay for me until I warmed it up, and then I adored it ever so. Everyone else seemed to be happy just eating without heating, though. Oh man, this is so enticing. 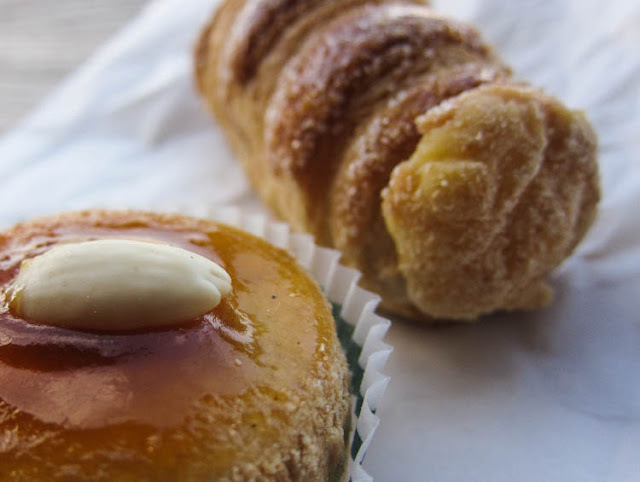 Why is there no pastry shop within 90 miles of here!?? Ugh. 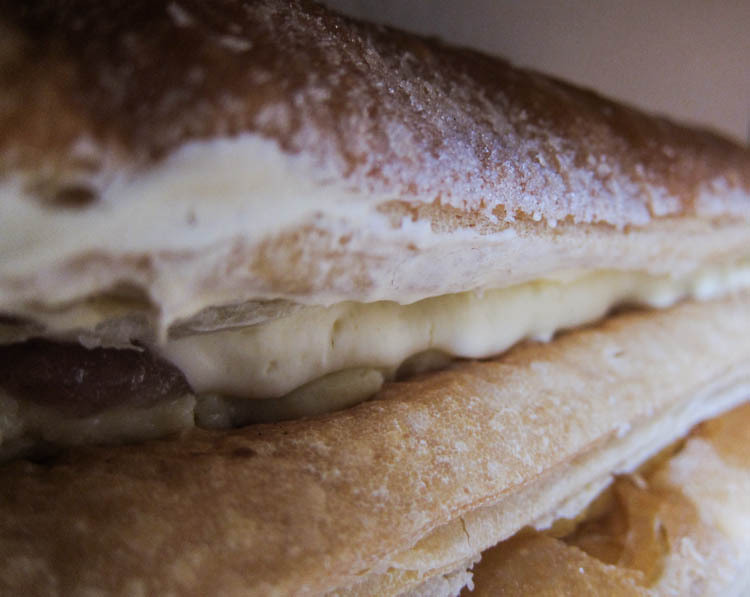 The thought of the buttercream and shortbread sammy, mmmmmmmm. apple strudel is something i can't recall seeing for such a long time! 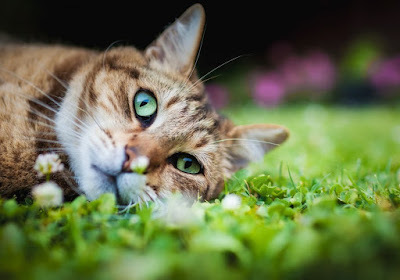 i shall have to keep my eye out for it around here. all that crispy pastry and delicious apply berry filling... delish! Yeah I don't have apple strudel very often but this was truly a particularly delicious version!